My brother got me this book for Christmas, off my Amazon wish list. I didn’t even know I had one of those. But when I opened this present at Christmastime I was surprised that he’d gotten me such a deep-cut poetry book, something from 2007. That’s when he explained the wish list. 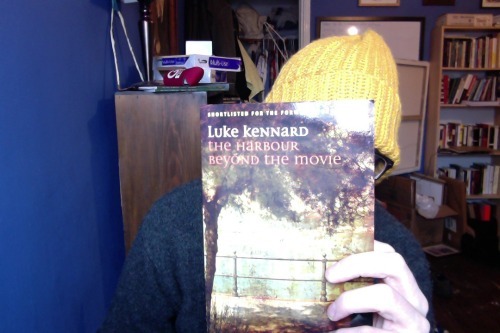 I put it on the wish list because Mairéad Byrne had Luke Kennard blurb her book, The Best of (What’s Left of) Heaven, so I wanted to see what his stuff is like. I like it a lot, of what I’ve read so far, which is a couple poems. Thanks bro!